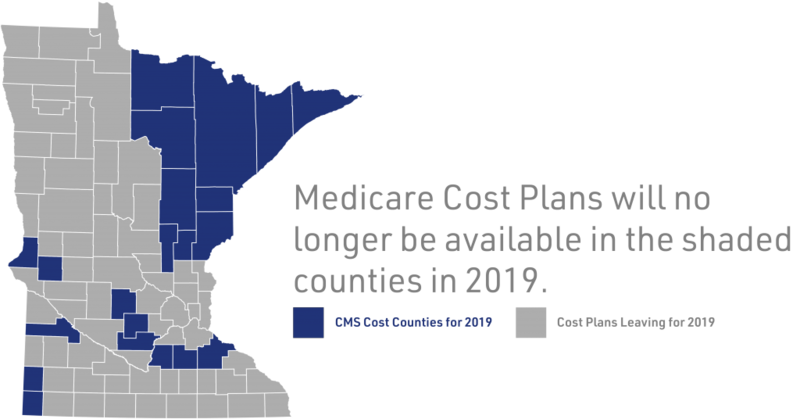 Medicare Cost Plans will be available to current and new members in the following 21 counties in 2019. There are four different parts to the Medicare program. Parts A and B are sometimes called “Original Medicare.” The following is a Medicare overview describing the four parts. Medicare Part A covers inpatient hospital care, time in a skilled nursing care facility, certain home health, and hospice care. The majority of Part A enrollees do not have to pay a monthly fee (premium) to be covered under this part of Original Medicare. Part B of Medicare benefits covers non-hospital medical expenses like doctors’ office visits, blood tests, X-rays and outpatient hospital care. You pay a monthly fee (premium of $104.90 in 2015) for this part of Original Medicare. The fee can be higher for people with high incomes. Medicaid, if you qualify, may help cover your Part B premiums. You share the costs for your medical care, typically 80/20. You’ll pay a small deductible each year before your Part B Medicare benefits begin. Then you generally pay 20% of the bill when you go to the doctor who accepts Medicare. Medicare pays 100% of the cost of lab services that help your doctor make a diagnosis. It is called “Medicare Advantage” no matter which private insurance company you go to. The cost of prescription drugs is a significant reason why people choose a plan that helps cover the cost of prescription medication. Some people may have a Medicare Supplement or Part D coverage as part of their retirement plan. If you are on Medicaid, have Veterans Administration benefits, or are on TRICARE, ask our Medicare specialists how this may affect your Medicare options. You also have the option to buy a Medicare SELECT policy because you are a Minnesota resident. Medicare SELECT is a type of Medigap policy sold in some states that requires you to use hospitals and, in some cases, doctors within its network to be eligible for full insurance benefits (except in an emergency). Your open enrollment for Medigap supplemental insurance begins the first month you are covered under Medicare Part B. You have six months in which to enroll in a Medicare Supplement plan regardless of your health. If you are under 65, check with Minnesota’s Social Security Administration to see if they offer additional open enrollment periods. As long as you enroll during the initial six-month open enrollment period, Medicare Supplements are guaranteed issue; the insurance company cannot refuse to sell you a Medigap policy or charge you more because you have health problems. You may, however, have to wait up to six months for coverage on any pre-existing conditions. That means if you have a specific health problem when you enroll, you may have to wait up to six months to be covered for medical services associated with that health problem. Original Medicare will still cover that health problem even if your Medicare supplement plan doesn’t cover your out-of-pocket costs. If you do not enroll in a Medicare supplemental plan during your open enrollment period, then the private insurance company may “underwrite” the plan. That means you may be subject to a physical, and the insurance company can either refuse to sell you the plan or they can adjust your premium based on your health status. We encourage you to enroll in all your Medicare options as soon as possible to take full advantage of the coverage open to you. You should aim to avoid any increase in premium or late enrollment penalties by fully understanding your enrollment periods and responsibilities under Medicare. If you enroll in a Medicare Advantage plan, you must cancel your Medigap policy; you cannot have both policies at the same time (as this would amount to dual coverage). 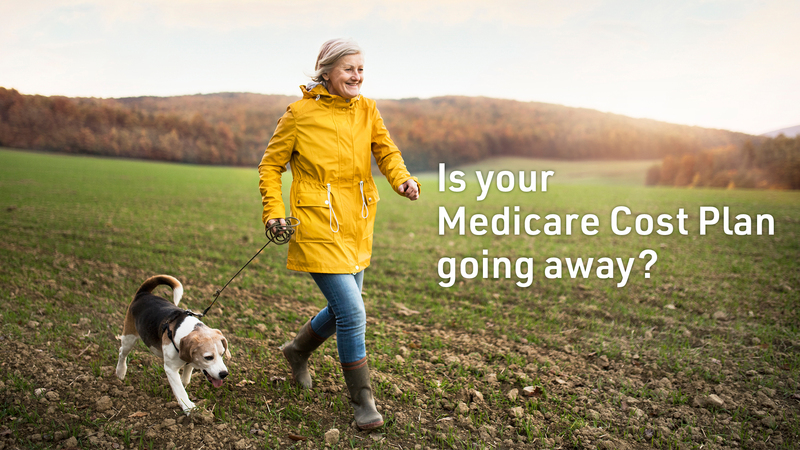 However, if you later return to Original Medicare (Parts A and B), you have a twelve-month special enrollment period to sign up for a Medigap supplemental plan. Under special circumstances outside of Medicare Annual Enrollment Peroid (AEP) you may be eligible for a SEP, such as moving home, to enroll into a new plan. With the close of Cost Plans, there is an SEP between December 8 and February 28, 2019. Other factors impacting the premium rates can include inflation, geography and medical underwriting (if you did not enroll when first eligible) and other discounts. You should check with each specific health insurer to see how it sets Medigap prices before you buy. The information is for educational purposes only. Medicare has neither reviewed nor endorsed this information.